“I do worry about the president’s saber rattling, his hints that US military intervention remains an option. I want to make clear to our witnesses and to anyone else watching: US military intervention is not an option,” US Representative Eliot Engel said at the opening of a hearing on the volatile political situation in the OPEC nation. Engel also warned about the possible effects on the Venezuelan people of US sanctions on state oil company PDVSA. The United States in January imposed sanctions aimed at limiting President Nicolas Maduro’s access to oil revenue. The country’s Congress chief, Juan Guaido, invoked a constitutional provision to assume the presidency three weeks ago, arguing that Maduro’s re-election last year was a sham. 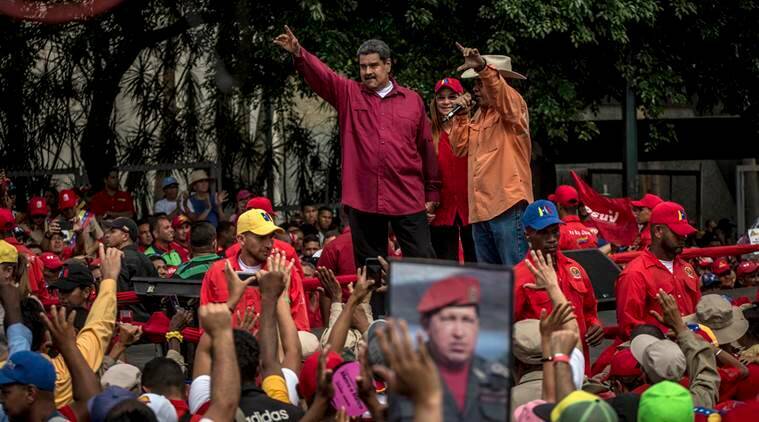 Most Western countries, including the United States, have recognized Guaido as Venezuela’s legitimate president, but Maduro retains the backing of Russia and China, as well as control of state institutions including the military. Trump’s pick to lead US efforts on Venezuela, former US diplomat Elliott Abrams, said Washington would keep up pressure on Maduro and his inner circle by “a variety of means.” “But we will also provide off-ramps to those who will do what is right for the Venezuelan people,” he said. Abrams, assistant secretary of state during the Reagan administration, was convicted in 1991 on two misdemeanor counts of withholding information from Congress during the Iran-Contra scandal. He was later pardoned by President George H.W. Bush. Sandra Oudkirk, Deputy Assistant Secretary of State, told the panel the Venezuela crisis was unlikely to affect adequately supplied global oil markets or have a sustained negative impact on US refineries that import Venezuelan oil. Published on Wed, 13 Feb 2019 19:48:04 GMT, © All rights reserved by the publisher.